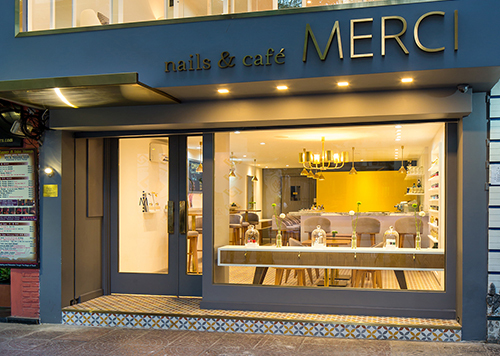 “MERCI, nails, hair & cafe” offers 10% discount for all Saigon Cooking Class’s clients upon bill presentation. 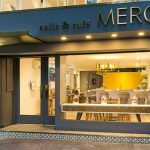 Your cooking class bill is valid 1 time at MERCI. MERCI welcome guests in a beautiful unusual set-up. Only waterless nails cares are provided, excellent drink menu, glamorous hairdresser, a gem! Booking recommended! Visit MERCI website. 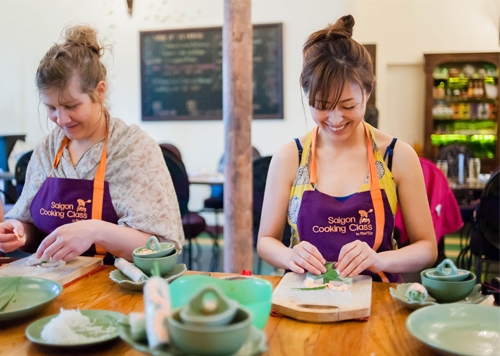 All year Special Deal at Saigon Cooking Class! 10% discount for 2 persons booking 1 cooking class and 1 street food tour each. 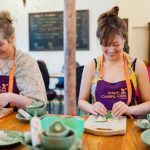 10% discount for 3 cooking classes purchased at once for 1 person. AFV, ILV, JCB, Air France, AScott, Somerset members? Enjoy 10% off on all our services upon presentation of your membership card, valid for the card owner only. Traveling in a group or with friends? For any booking of 10 participants during our opening hours, we are pleased to offer you a private cooking class with free choice of the menu. Rates are according to the services you chose. 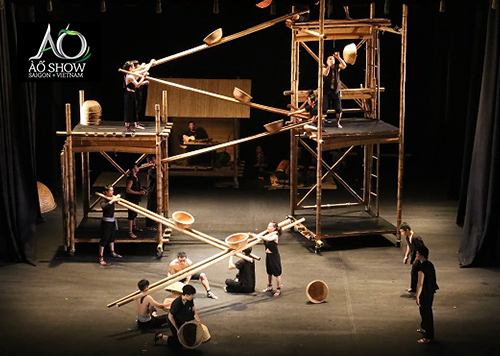 For any Cooking Class* or Street Food tour booked with us we will be pleased to offer you a Voucher “20% off on your tickets, up to 2 tickets” for the AO Show. 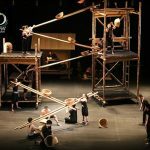 AO Show is a unique blend of bamboo cirque, acrobatic acts and theatrical visual drama. The shows is held at the Saigon Opera House. *Promotion can’t be applied for companies booking. Visit AO Show website.